Spring2Action is Alexandria's day of giving for nonprofit organizations working across our community. We encourage all Alexandria residents to participate through April 10, in support of the many great organizations serving our community, like ours. This past year, we had 187 volunteers - more than double last year1,190+ volunteer hours - also more than double last year - a value of $31,833. 535 people reached, not including volunteers. ... and $15,260 raised thru donations and private/foundation grants. We also began studying the quality of the stream with a study of microplastic pollution with early estimates indicating 10 tons of the material passing through the stream each year. Our next big project idea is a kayak/canoe launch on Four Mile Run. 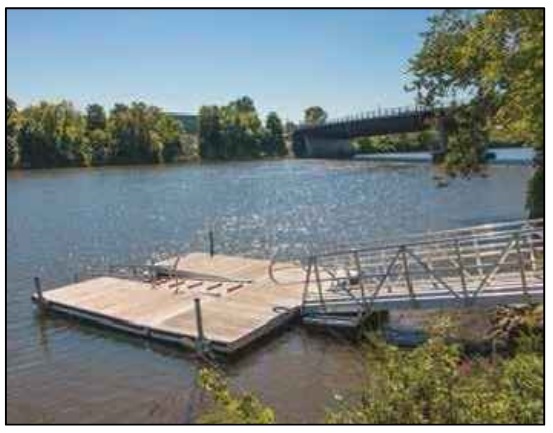 Improved access for non-motorized watercraft supports healthy active recreation in the remarkable ‘nearby nature’ of Four Mile Run. Your support during Spring2Action will help support this and other Four Mile Run Conservatory projects to enhance Four Mile Run and its value to city residents.